Have you looked at the running shoe choices at your local sports store lately? The choices are overwhelming. 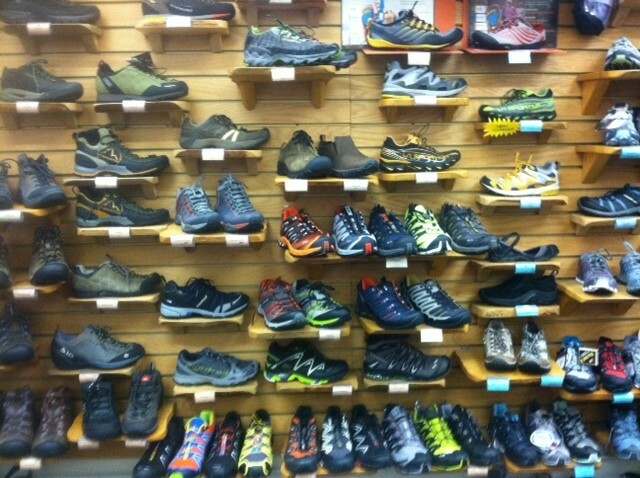 Some of the running shoe choices at our local outdoor store. 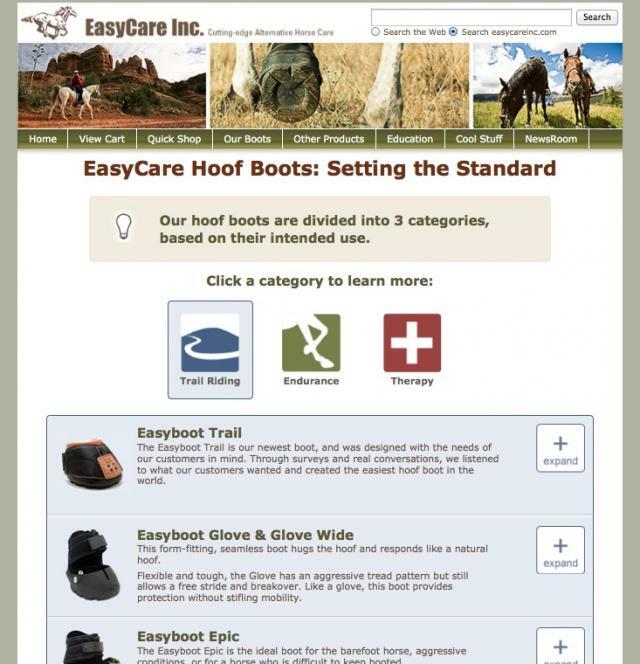 At EasyCare, we have 13 boot models to choose from, and knowing which boot is right for you and your horse can seem equally daunting. Much like buying a pair of running shoes, the first thing to do when making your boot choice is to decide what you and your horse are going to do in the boots. 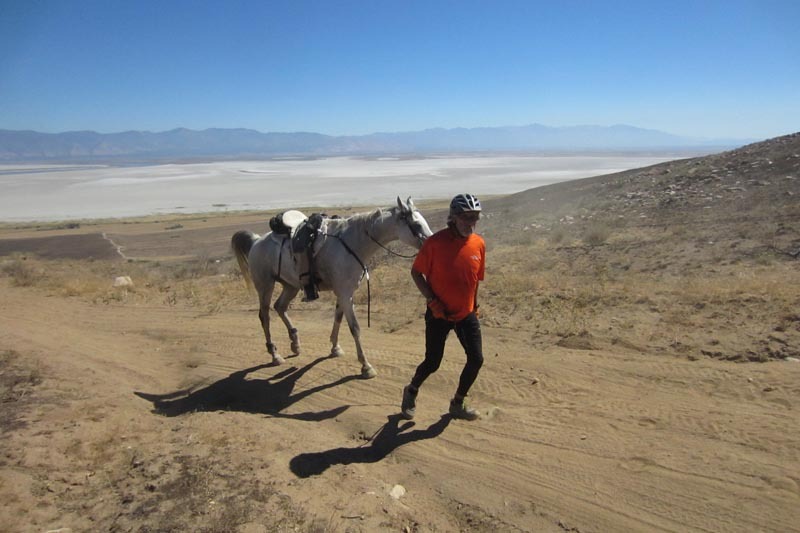 We’ve broken the choice of activities down into three categories: Trail Riding, Aggressive Distance Riding and Therapy. You can read about them in some detail on the New To Boots page on our website. So think first about what your planned booted activities will include. 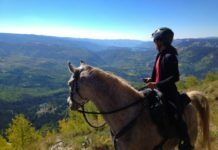 If trail riding is your thing, your needs can almost certainly be accomodated with the Easyboot Trail, the Easyboot Epic or the Easyboot Glove. There are plenty of other boot choices you could experiment with, but in my opinion, these three boots are the best place to start. The Easyboot Trail is the favorite boot of our backcountry rider customers. It is a good boot for people who ride up to 25 miles per week. We picked that weekly unscientific ceiling as a guidline for people to use, but since the horse and the terrain vary wildly from user to user, this really is only a guideline. The pros for using this boot are its affordable entry-level price point; the ease of putting the boot on and off; and the infinitely variable hoof shapes it can accomodate. So if your horse has long toe capsules, a high heel, lots of hoofwall flare, or you only see you trimmer once in a while, this boot will be very forgiving throughout the entire trim cycle. The Easyboot Epic continues to be one of our most popular boots. Based on the Original Easyboot design, it comes with the double layer neoprene gaiter for additional staying-on power. The cable and buckle system allows for additional adjustments for a wide variety of hoof shapes and sizes, and the boot is available in sizes Pony through 7. Last year I fitted most of the big draft horses at Disney World in Florida in Epics. The Easyboot Glove and Glove Wide are the frontrunners of any horse hoof boot across the world. Unlike other boots in our product line, this boot really cannot be used over steel shoes. Successful use of this boot also requires a regularly maintained hoof capsule with a short toe, short heels and little to no flare. 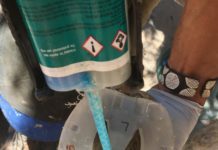 Most riders who compete in long distance wilderness rides use the Easyboot Glove or the Easyboot Glue-On (or their Wide counterparts). If the fit is correct and the hooves are regularly maintained, this is a tough boot model to turn down. This boot is also very popular with riders who compete in arena speed activities such as barrel racing, pole bending and mounted shooting. Many of our customers still like to use the Easyboot Epic. The cable and buckle system affords additional adjustment tweaking, and 41 years of success are hard to beat. There are two choices for therapy: the Easyboot Rx provides support and relief for horses with chronic hoof issues. Although the boot cannot be used for riding, it can be used for light turnout for horses with laminitis or founder, or for transitioning horses who need additional comfort to speed the process and aid in movement. The EasySoaker is the answer to all your soaking needs, from thrush prevention and treatment to management of abscesses. You’ve got to choose the right boot for the job. I’ve distilled the choices to just a few, but there are several other models to choose from. We’d be happy to discuss your particular needs with you in person. So whether you buy directly from us or from one of the thousands of EasyCare dealers across the world, please pick up the phone and call us during the decision-making process. We want you to have the most positive boot using experience possible. And we’ve got a few free tips and tricks up our sleeve: we can almost certainly lead you to a positive conclusion. Give us a call at 800-447-8836 or 520-297-1900. We’ve got a small army of experts waiting to talk to you, so don’t be shy. 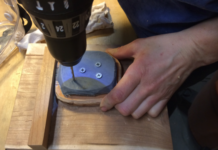 Next week: Summarising the Five Basics to Successful Booting – a wholistic approach to connecting the pieces.